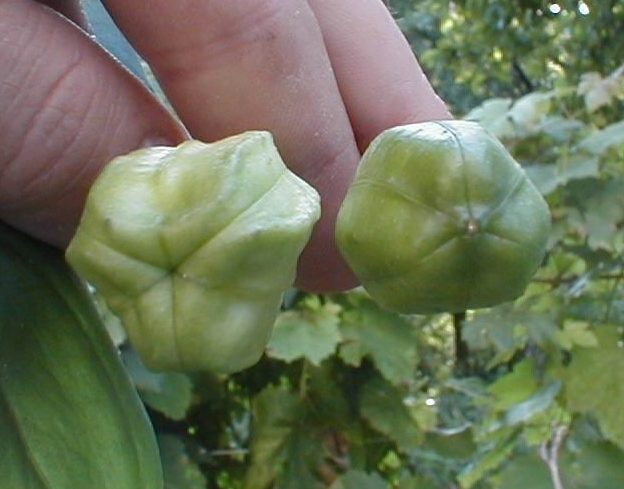 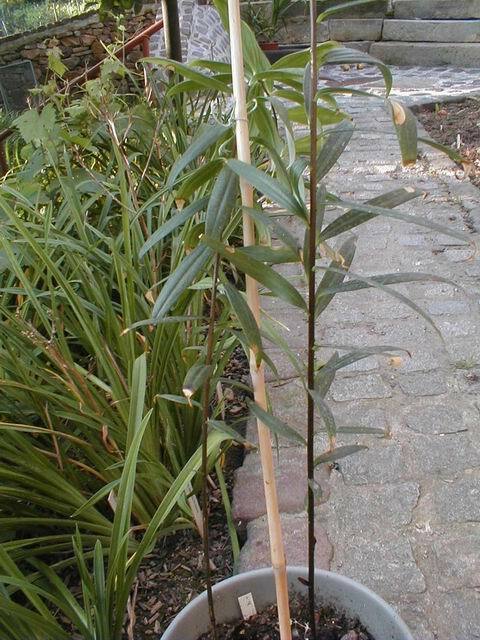 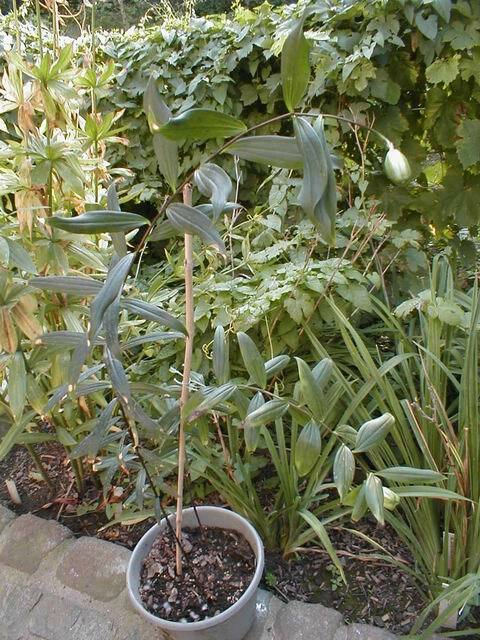 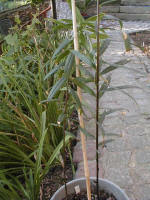 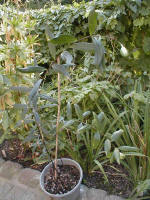 Two plants (obtained from Chen Yi in 2004) were planted in a pot and cultured in a green house. 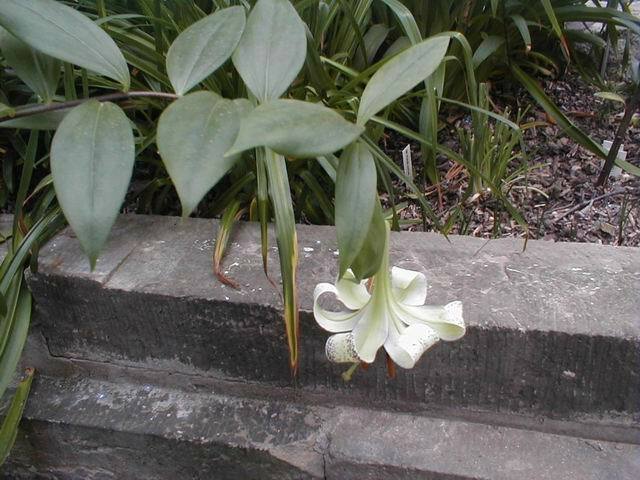 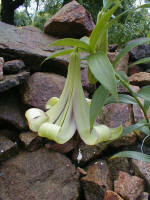 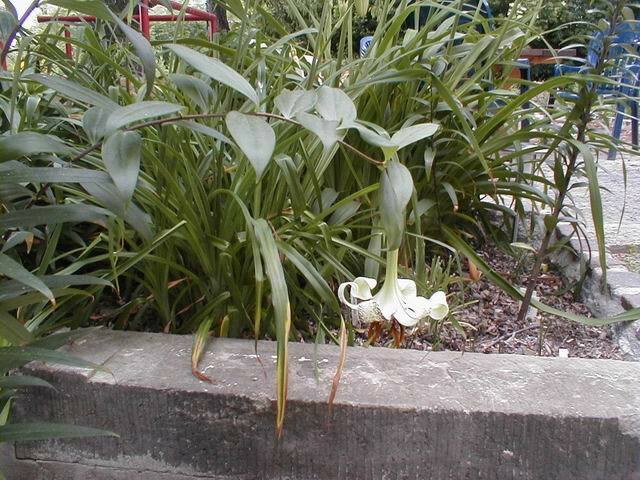 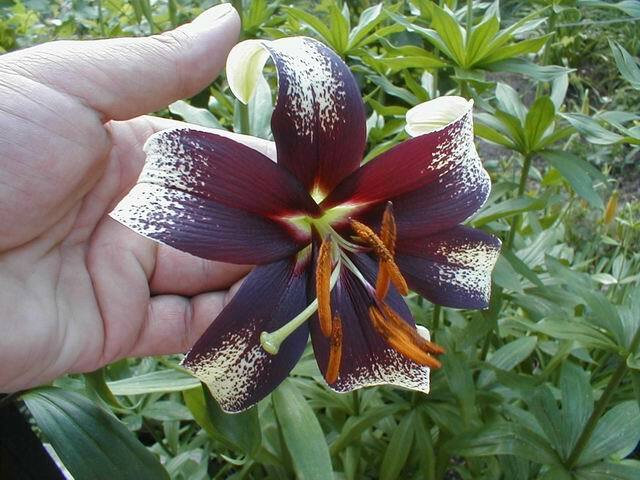 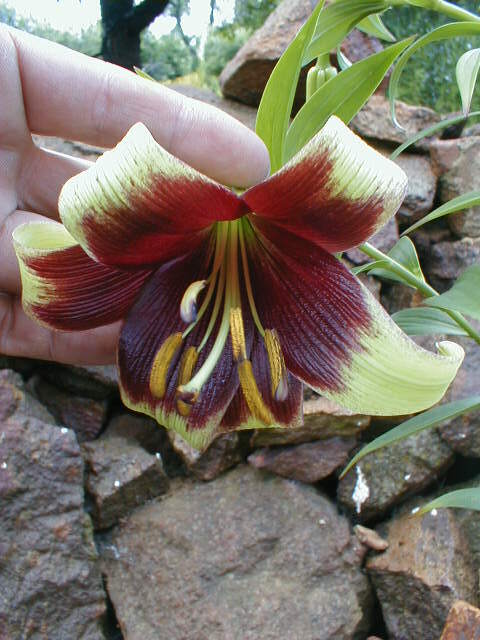 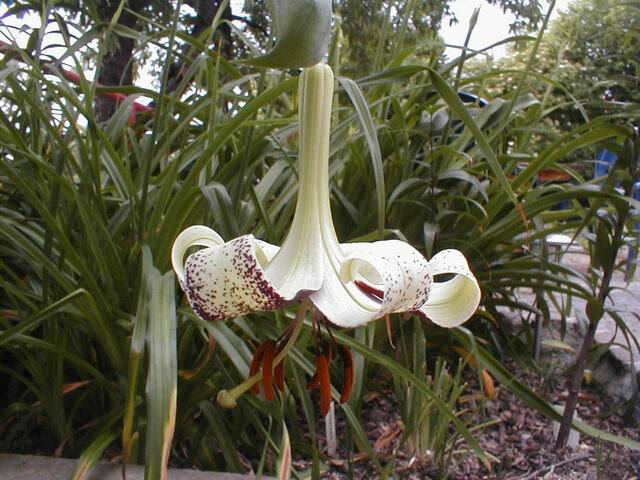 They flowered with one flower on each stem in June 2005. 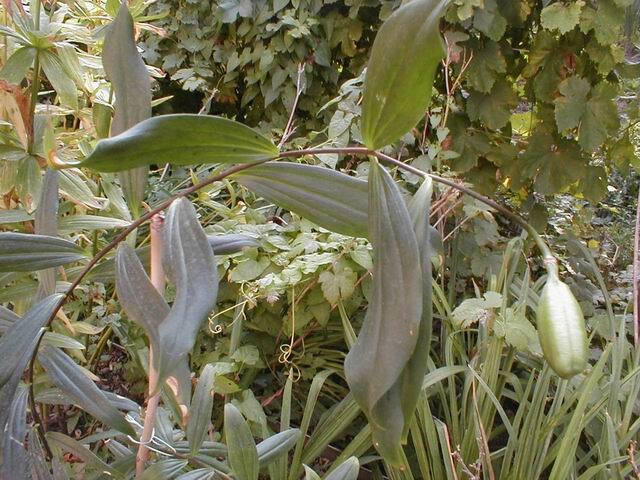 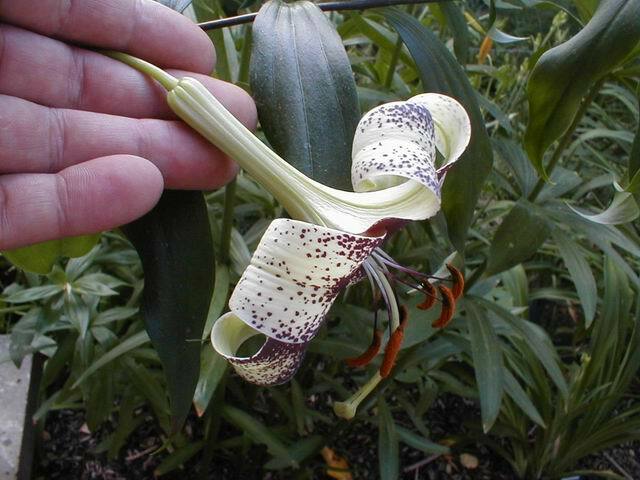 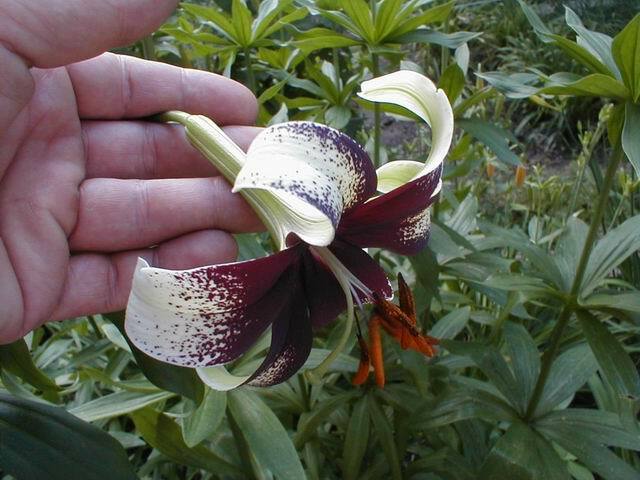 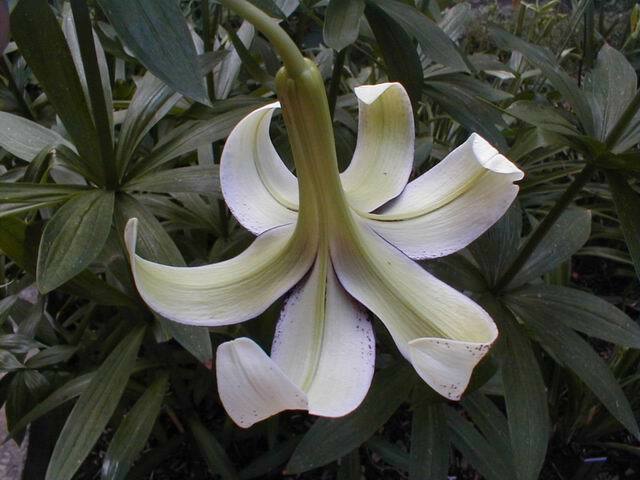 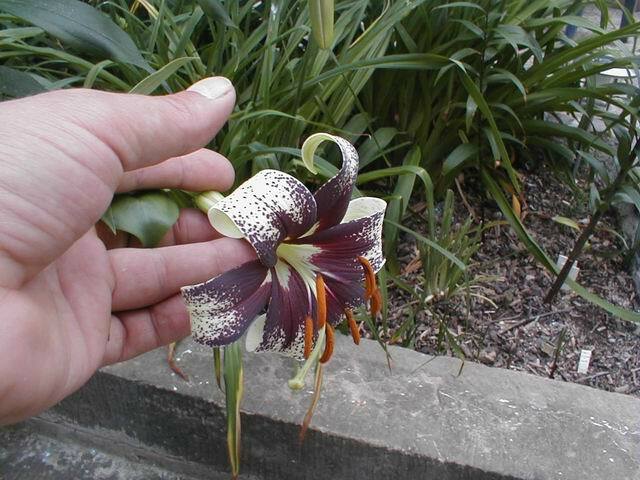 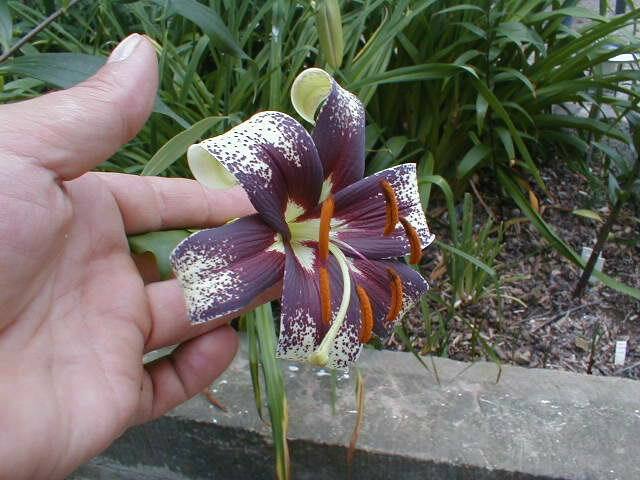 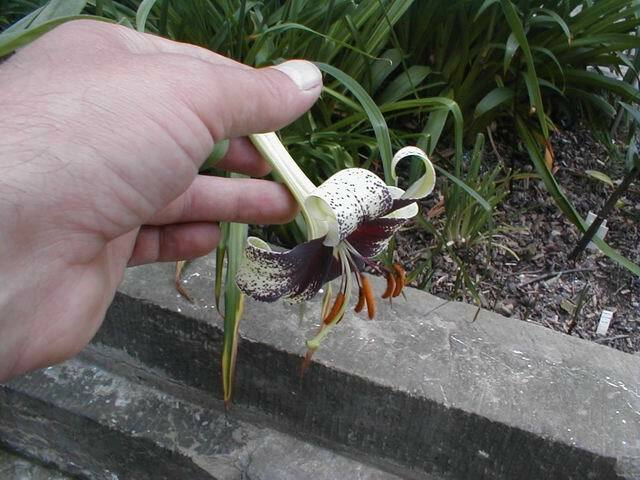 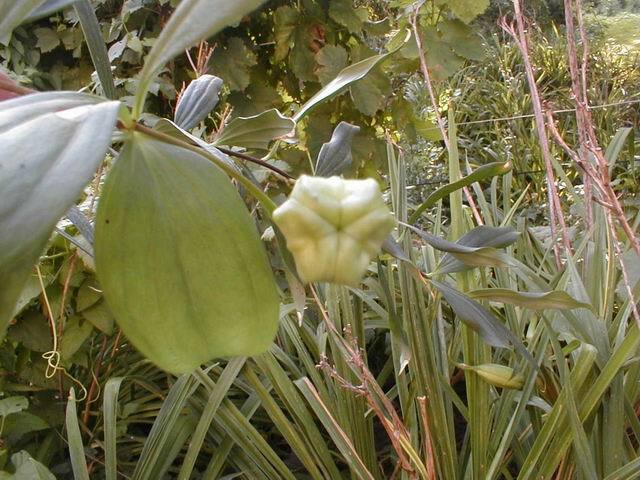 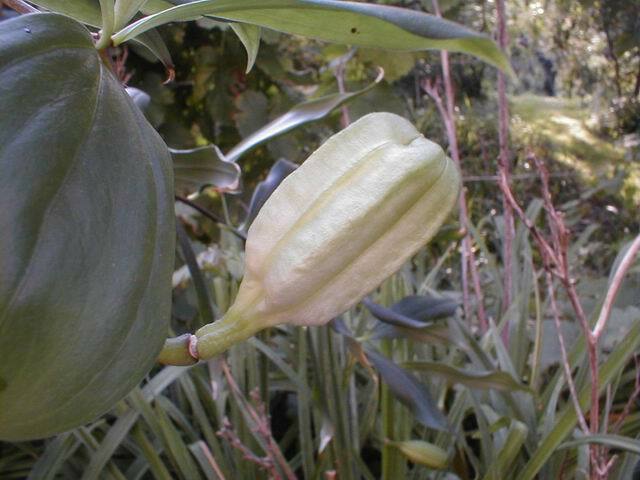 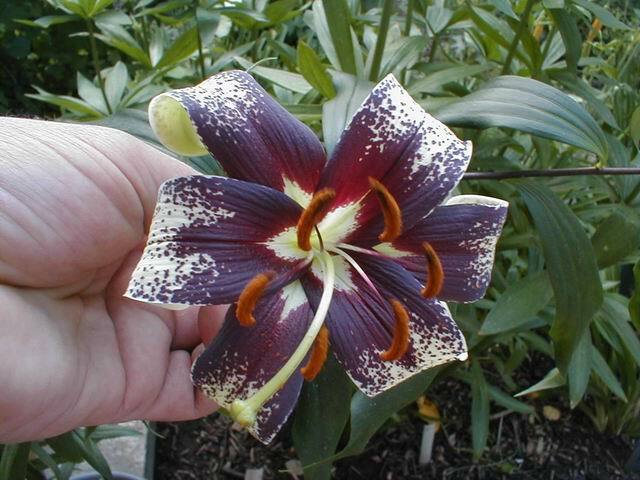 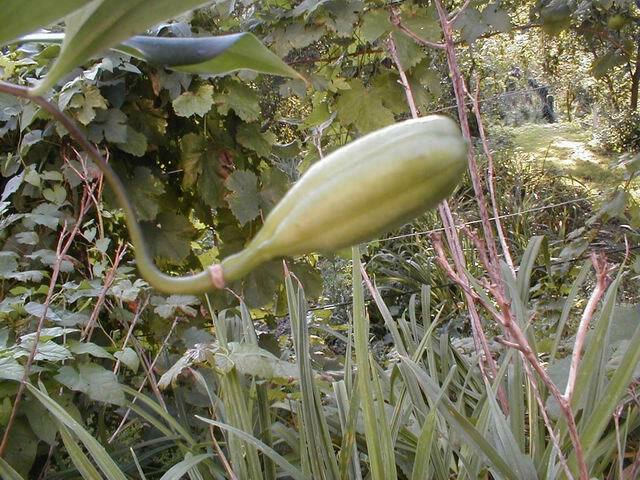 The cross pollination gave capsulas full of seeds, given to the seed lists of the ELG and the RHS Lily Group to save this species in culture. 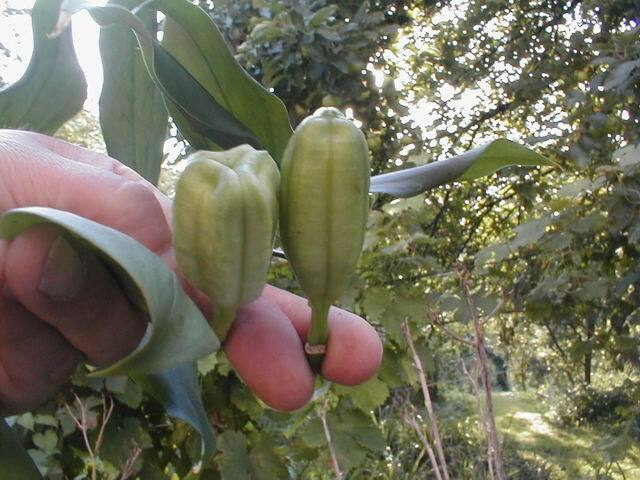 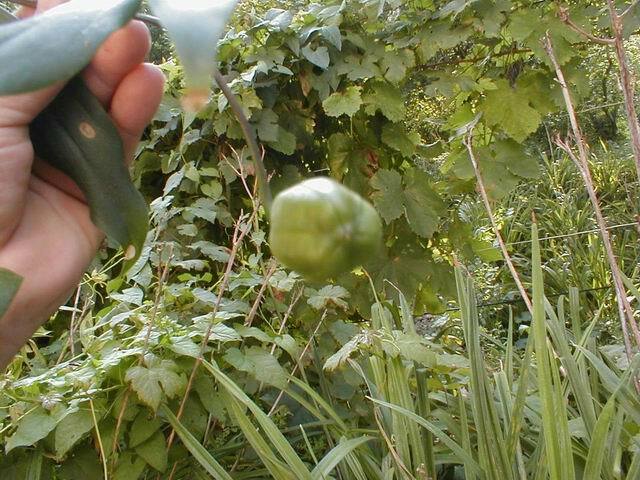 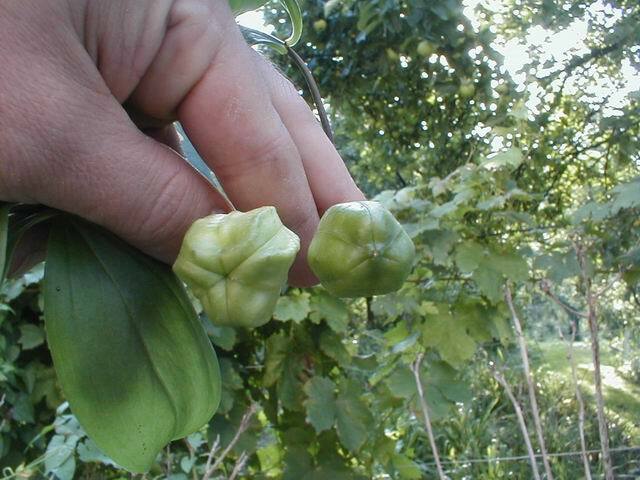 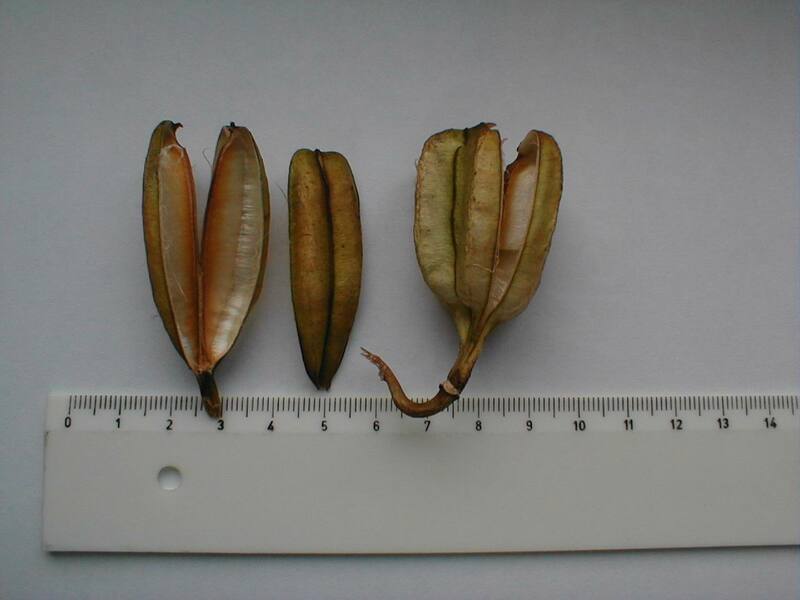 The difference of the seedpods was a surprice to me - is this a normel difference in L.majoense and can anyone show a pic of the seedpods from the sister species L.nepalense ?